American Airlines plans to launch four-times-weekly, non-stop service between Miami International Airport and Silvio Pettirossi International Airport in Paraguay's capital Asunción on November 15. American Airlines plans to launch four-times-weekly, non-stop service between Miami International Airport (MIA) and Silvio Pettirossi International Airport (ASU) in Paraguay’s capital Asunción on November 15. The airline will operate the new service with Boeing 757 jets. 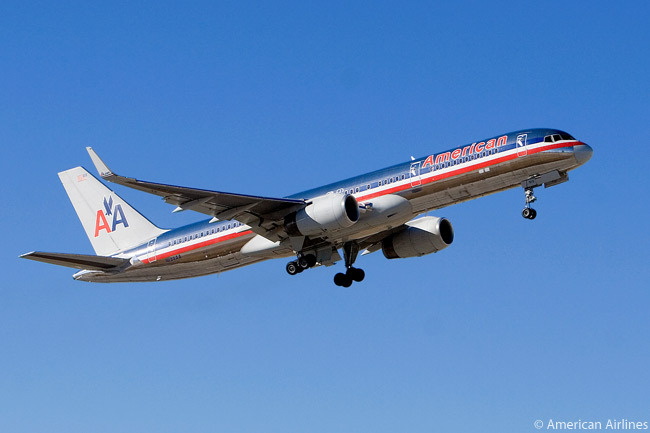 American Airlines is awaiting government approval for the service. “This is great news that we have been working on for 20 years – to start direct non-stop flights to the United States,” said Dr. Nicanor Cespedes Cespedes, president of Paraguay’s National Civil Aeronautics Directorate (DINAC, by its acronym in Spanish). “The new American Airlines non-stop flight from Asunción to Miami will offer more options for local passengers and help strengthen Paraguay’s economy, including tourism to our country,” added Cespedes. Pending government approval, the carrier’s schedule for the service will see flight AA217 leaving MIA at 11:40 p.m. on Tuesdays, Thursdays, Saturdays and Sundays and landing at ASU at 9:40 a.m. the following day, local time. In the other direction, flight AA218 is timed to depart ASU at 11:00 a.m. on Mondays, Wednesdays, Fridays and Sundays and to reach MIA at 5:05 p.m. the same day, local time. From its hub at Miami International Airport, American offers nearly 300 daily flights to more than 35 countries throughout Europe, North America and South America. This June, American will offer nearly 800 flights each week to more than 40 cities throughout Latin America, including Mexico, Central America and South America. To search for low fares, click here. To find hotel deals in Asunción, go here. To find hotel deals in Miami, visit here.